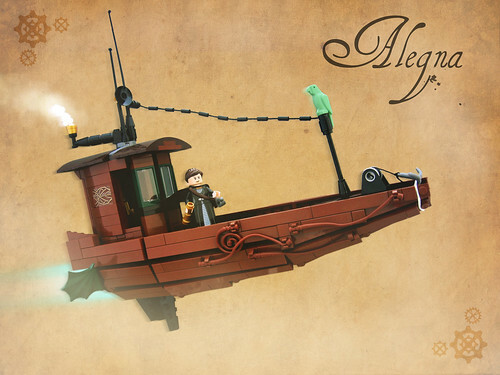 This cool steampunk MOC comes from Gabe Umland. It depicts Lahair on the deck of the Alegna, a floating boat. I love the design, it sorta reminds me of Mr. Kim's boat in Fifth Element, like a junk with no sail.